Prevention is the key when they inject you or me. Treatment, after the fact is riskier. Many of the the bad bacteria have become resistant to our antibiotics. 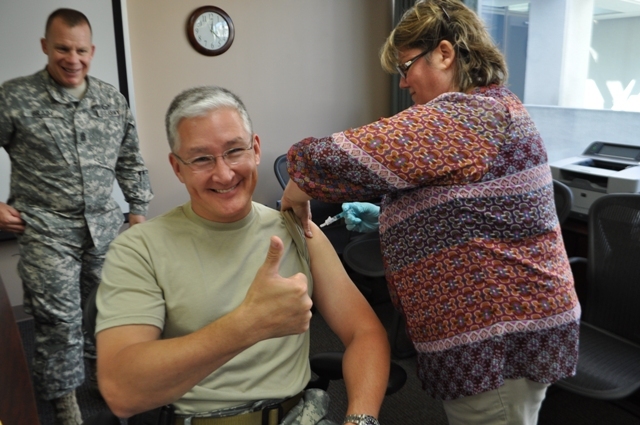 Vaccinations are becoming extremely important for ensuring health for adults. They lower risk of infection, disability and death. These prescription medications pump your immune system into high alert mode for certain infectious agents. Consumers that are at least 65 years old are recommended to get pneumococcal injections. They consists of 2 different types of vaccinations spread apart by at least 6 months. These shots protect the body from bacteria know as Strep. pneumonia (S. pneumonia). In the U.S., close to a million individuals yearly catch this disease with 63,000 people succumbing to the infection. The separate injections consist of the newer liquid called Prevnar 13 and the older Pneumovax 23. You would think that the 23 would have more protection than the 13 but it’s about how these different immunizations fluids look to the immune system. Prevnar 13 is more attractive to ramp up the protective antibodies than Pneumovax 23. The reason for this is that Prevnar 13 has a coating consisting of carbohydrate with protein. This dual formulation pushes the immune system into a higher gear of destruction. Pneumovax 23 only has a single carbohydrate structure on its outer surface. They both work in different ways to pump up the immune systems against multiple types of S. pneumonia. Getting both shots spread over 6-12 months is like 1+1 = 3. This is called a synergistic effect. Together, the two injections are much more valuable than only giving the one. Risk of getting the full-blown infection can be lowered by up to 75% with this shot regime. There are also other high-risk groups that should receive the injections. Those individuals are patients that have diseases that weaken the immune system, like diabetes. Side effects are redness/pain/inflammation at the site of injection, temporary limited arm movement, fatigue, headache and muscle/joint pain. The only other negative with these 2 injections is the cost. Most insurances will only pay for 1 type over the year. The expense of newer Prevnar 13 is double that of Pneumovax 23. Approximate cost is $70 for the Pneumovax 23. If possible, receive the Prevnar 13 on your prescription plan this year. Then wait 6-12 months into the following year and check to see if they will cover the Pneumovax 23. These injections continue to be effective for up to 5 years. Why are they not 100% effective? There are more than 90 different species of S. pneumonia. These injections together contain a total of 24 different types of the bacteria. Ones that have been found to infect our bodies 95% of the time. They are also the most deadly of the 90 species.